The murder of Michael Brown in 2014 was one of the most controversial events we have seen in a long time. It brought the topics of race and equality back onto the mainstream radar. Social media played a pivotal role in ensuring that the conversation stayed alive. As a result of the death of Michael Brown, the citizens of Ferguson, Missouri took to the streets to protest their indignation at the heinous crime performed by a police officer. The police reacted in a less than gentle manner and literally blocked media outlets from reporting on the scene. The murder of Michael Brown at the hands of police officer Darren Wilson opened up, once again, the discussion of race. It soon became apparent that there were serious social and racial issues that had been ignored or glossed over for too long. This case brought racial discrimination to the forefront of American society and put Ferguson, Missouri on the map. A small movement that was born after the murder of black teenager Trayvon Martin in 2012 was re-baptized into social media and has stayed as the mecca of this racial justice movement. #BlackLivesMatter is much more than just a hash-tag. It is more powerful than any new trend that comes and goes. This movement is here to change lives and to change opinions. It was established to provide an uncensored view into the social injustice that the media covers up. It was created by three African American women who believe in fighting for social justice and as they put it, "#BlackLivesMatter is a call to action and a response to the virulent anti-Black racism that permeates our society." Through the use of social media and their website, they are able to project the movement so that it reaches everyone equally. 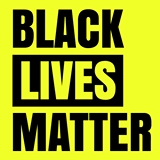 The #BlackLivesMatter website has an entire page dedicated to pictures of protests. It also features some of these images in a brief slideshow on the main page in order to grab the attention of their audience. They mostly chronicle the uprising that happened in Ferguson, Missouri following Michael Brown’s murder. It is a very powerful page to scroll through as there is really nothing but pictures. The use of black as a background color for the website really makes the yellow title at the very top pop out. It is there to remind you that the problem persists and the images you are viewing are a reality that people of color face. The administrators of #BlackLivesMatter are mainly active on Twitter. Here, they respond to followers as well as share stories of recent social events. One of the most recent on their timeline is the murder of 19 year old Anthony Robinson. The three African American women who created #BlackLivesMatter, Patrisse Cullors, Alicia Garza and Opal Tometi also have their own Twitter accounts. They share information on recent events and speeches concerning the social injustice faced by blacks. They also respond to followers and receive support, sometimes in the form of artistic posters. Their personal website offers more of a journalistic view into issues. They often feature pieces from news sources and divulge their brief opinion on the matter. There is also a smattering of op-ed pieces on the issue of injustice such as the State of the Black Union piece. This website is easily accessible by mobile devices as well as computers. The fact that they use social media, which is already mobile-device friendly, makes it easy for their supporters to always be informed of the latest issue they are covering. It is very easy to just pick up your phone and open an app to be able to keep yourself informed of the things that matter to you. It is very easy to keep track of the things they are advocating for and share them with your followers. Their Tumblr blog is filled with very inspiring images and posters. The art is mostly created by fellow supporters of the movement and it features many different scenarios of social justice and change. As I scrolled down and really paid attention to each detail, I realized that these images were very intelligently made, with the intention to grab the attention of the viewer, by using bright colors and then driving home the main idea by using strong words and imagery. By having supporters create different posters (as seen below), they are able to involve the community and really get a sense of what others are thinking. It was a very inspiring experience to scroll through and view each image; it made me believe more strongly in this movement. It was as if my own beliefs and ideas were being transmitted through an artistic medium by a complete stranger.